As reported in the media, Canada will be taking part in the NATO Baltic Air Policing operation From August/September to December/January, taking their turn (Roto 36) of the NATO allies who have protected the Northern Baltic states. 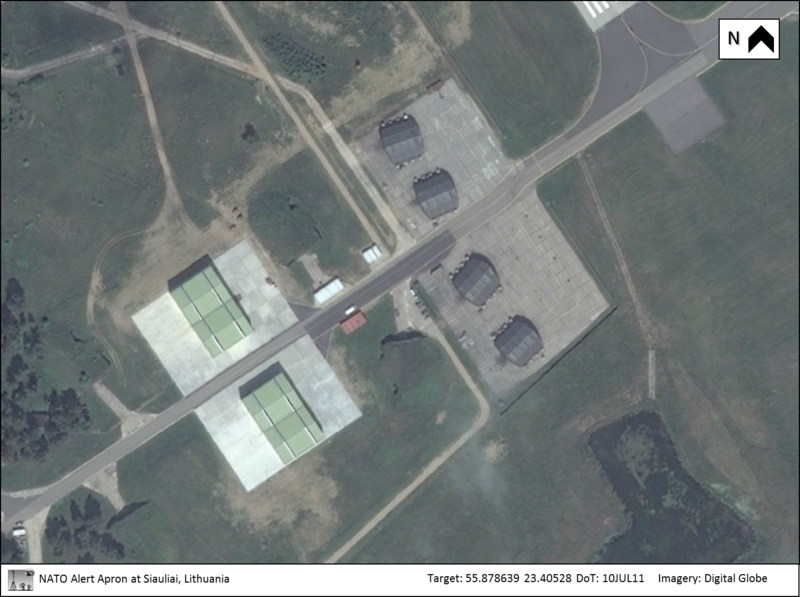 This mission is hosted out of Šiauliai Airbase in Lithuania (satellite image below) which has been hosting such missions for many years . So why is this interesting to me? Well, this airbase is now an international airport with civilian traffic, but it does have a military past (as you should be able to tell from the design). "Recently" it was a Soviet airbase, with forty (40!) hardened hangers made to store and protect fighter jets from bombardment. Those bunkers are still there, but I'm not sure if they're still in use. I'd very much like to get detailed pictures of those structures and compare them to Western designs. 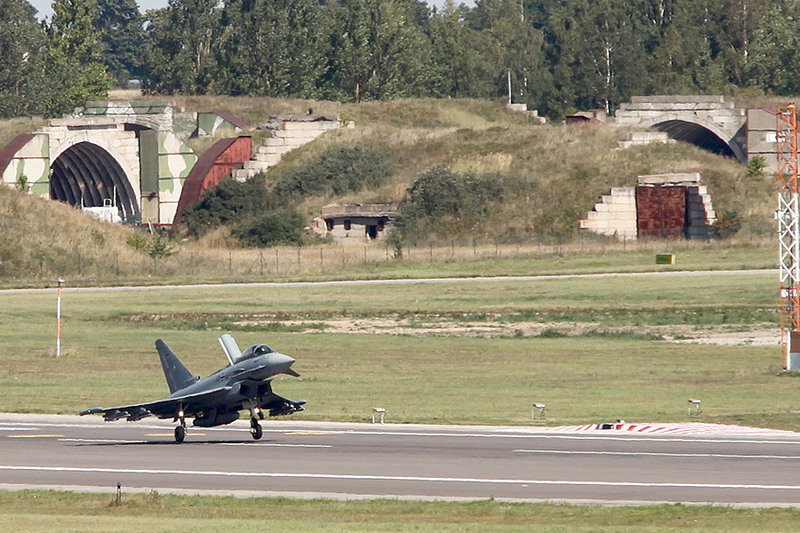 This is the QRA area where NATO forces are staging their planes. I did notice one curiosity when I was snooping the airport with Google Maps around (55.905396, 23.397880)... What is that area, and why are there very large cylinder shapes? Is it an old POL site?